As the eight grade traveled off to Ecuador, our after school Spanish Club embarked on international adventures of their own. 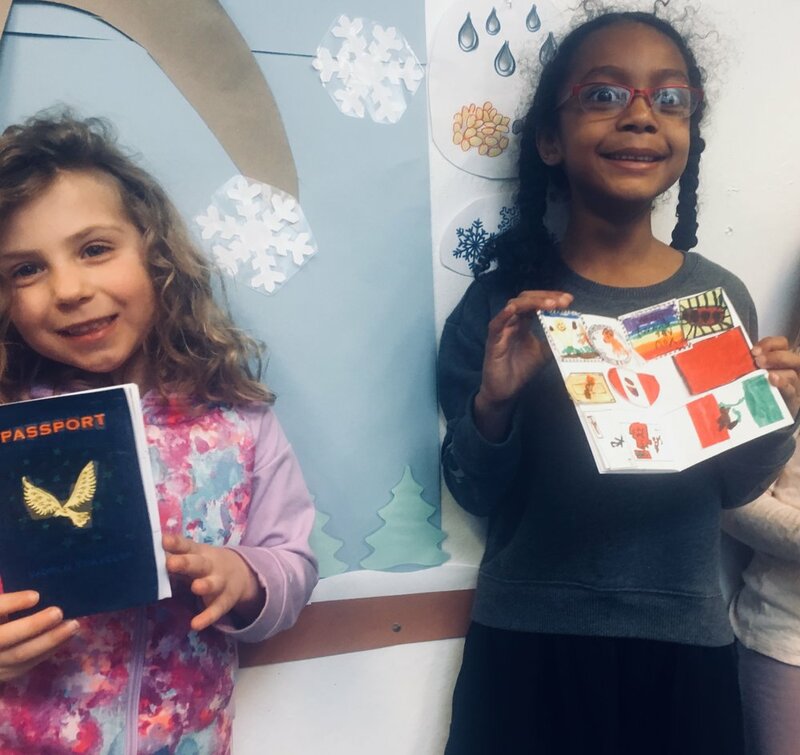 Kindergarteners and first graders created their own passports, and in the classroom we traveled to Peru, Mexico, Spain, and Costa Rica. With our official translator, Jude (Pr-A), helping to explain vocabulary along the way, we conversed about the countries and examined maps and flags, and we watched YouTube videos about the culture of the each of the places we visited. Students also designed and created stamps of their own for each country to decorate the pages of their passports.